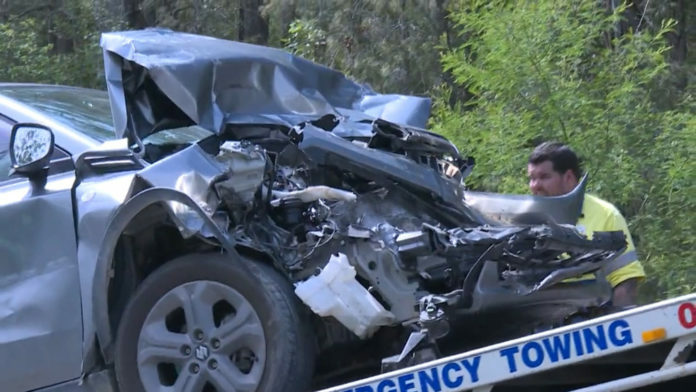 A 23-year-old woman has escaped serious harm after the vehicle she was driving crashed into a caravan on the Pacific Highway just north of Port Macquarie. Police say the van which was travelling south on the inside lane dramatically slowed down due to tyre problems. The female driver of the Suzuki hatchback then crashed into back the caravan. She was taken to hospital with chest pain.